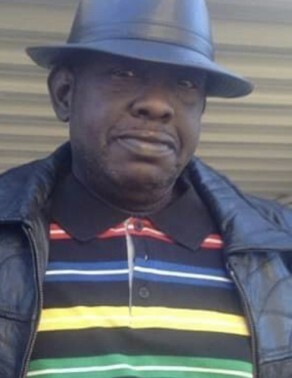 Sylacauga, AL – Funeral service for Mr. Timothy Morris, 59, will be held Saturday, February 9, 2019 at Jesus Saves Deliverance Temple, Sylacauga, AL, at 12:00 PM. Minister Teritia Kirkland, officiating. Visitation to be held on Friday from 2pm to 8pm at the Funeral Home. Mr. Morris departed his life on February 2, 2019 at his residence, Alexander City, AL. He leaves to cherish his memories, three sisters, Brenda (Randy) Burns of Sylacauga, AL; Georgia Morris of Birmingham, AL; and Marchella Morris of Alexander City, AL; two brothers, Donald Ray Lovejoy of Birmingham, AL; and Anthony (Carol) Lovejoy of Alexander City, AL; three aunts, Virginia (Earnest) William of Montevallo, AL; Barbara J. Lee and Maxine Laster of Birmingham, AL; two uncles, Willie Morris and Richard Morris of Montevallo, AL; one granddaughter, Kotash (Le’Corthney) Jackson; special great granddaughter, Star yanna; and a host of other relatives and friends.